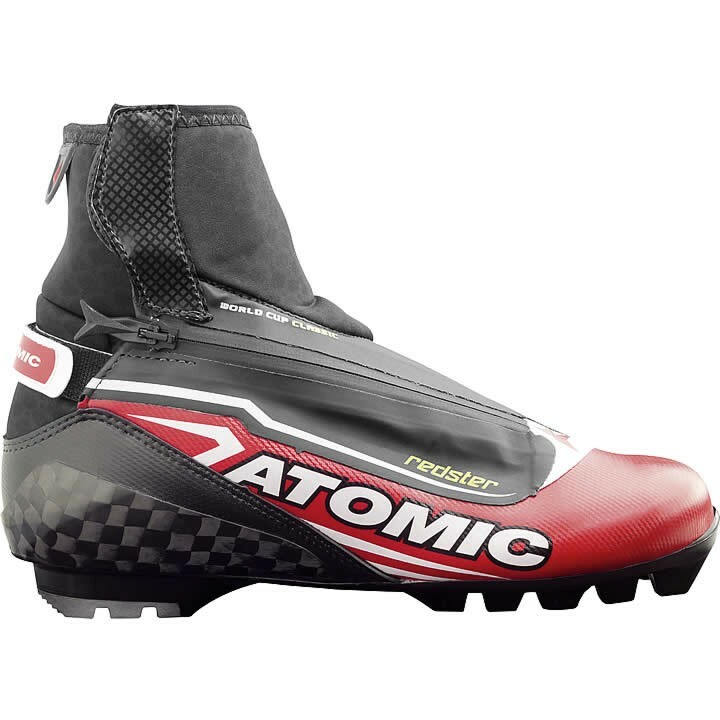 The Atomic Redster Worldcup Classic is stuffed full of Atomic's top World Cup technology. As every half-second counts when you're racing, Atomic made it super lightweight with a perfect classic flex. On top of that, the all-carbon heel counter provides race-level support and exceptional power transmission to the ski, while the flexible outsole gives you a precise feel for the kick. Another clever innovation is the Wrapping Lace system, which runs directly over the top of the boot for a precise fit. Carbon Heel Counter: This all-carbon heel counter provides optimum support and awesome power transmission to the ski.